Experiential marketing is in a period of continued growth at present, because it provides a great opportunity for consumers to interact directly with brands and build up a positive association.In fact, according to findings published in the Freeman Research 2017 Global Brand Experience Study, more than a third of CMOs are expecting to set aside between 21 and 50 percent of their entire budget for brand experience marketing in coming years. Whereas traditional marketing channels tend to stimulate only some of the five senses, such as sight or sound, experiential marketing has the capacity to target all five at the same time, increasing engagement. In this article, we examine how you can use experiential marketing to add value to your brand. One of the reasons why so many marketers are turning towards experiential marketing is because there are issues with the effectiveness of some of the more traditional methods of marketing and advertising. In simple terms, traditional channels are now reaching a smaller audience than in the past. Moreover, modern consumers are more aware of advertising, adopt a more cynical attitude towards it and are harder to please. According to Fergus Rooney, the co-founder of AgencyEA, 89 percent of ad content is now ignored by consumers. Television advertising has been hurt by the ability to watch shows on-demand and skip ad breaks, while the majority of millennials have ad-blocking software installed, limiting the effectiveness of online advertising. Although some of the other traditional methods, such as billboard advertising, are not affected by these technology changes, their reach is far more limited, they cannot be engaged with directly and, generally speaking, people are unlikely to take a photo of a billboard advert and share it with their friends. These challenges have caused marketers to search for other marketing methods, which can help them to become more effective at putting across brand messages, and can allow them to reach the audience that is not currently engaging with traditional channels. One of the most promising methods is experiential marketing. Designed to engage consumers and encourage direct participation with a brand and/or its products, experiential marketing includes things like event marketing and street marketing. Essentially, rather than simply being given a message through advertising, experiential marketing aims to allow consumers to experience something tangible, which they will then associate with the brand, such as an exhibition service, or a live interaction. Experiential marketing is sometimes incorrectly viewed as being synonymous with event marketing. While there is often an event element and an event company may be more likely to carry out this kind of marketing, an experiential or exhibition service may equally be placed away from specific events, such as in a public place. One clear example of this was seen when Google decided to donate $5.5 million to non-profit organisations in the Bay Area in San Francisco. To encourage direct participation, the company installed interactive posters in the Bay Area, so that people could select the organisations that would receive the money, allowing those in the local area to learn about the project, take part, and interact with Google away from using one of its core products. "To understand experiential marketing, just look to its name," Amanda Zantal-Wiener writes in a blog published by HubSpot. "It's a type of strategy that engages an audience with a real-life invitation to engage with -- or experience -- a brand. It's participatory, hands-on, and tangible." It is important to understand that experiential marketing is not simply an alternative way to market a brand or its products, while getting around some of the problems associated with traditional channels. Instead, experiential marketing provides real and unique value in terms of educating, improving perceptions and building lasting relationships, and can function alongside more traditional advertising methods, or in their place. Research compiled by Pop2Life shows that 74 percent of event attendees have a more positive opinion about the business, brand, product or service being showcased afterwards. Meanwhile, 65 percent said they had a better understanding of a product or service after attending, out-performing television and online methods. 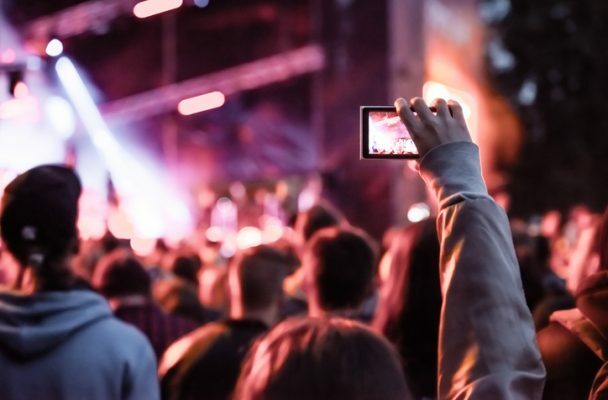 "Experiential is a uniquely fast and effective way to build brand awareness through one-to-one connections with consumers," says Bryan Icenhower, president of the event company IMG Live. "It engages all five senses, sparking emotions that form lasting memories which have been shown to drive brand loyalty." That final point is perhaps the most important advantage of all of those associated with experiential marketing - the ability to form positive associations in the minds of consumers. This can then increase the chances of repeat business and help to create a genuine sense of loyalty, maximising the lifetime value of those customers. In addition, it makes customers more likely to share their experience with others, furthering a campaign's reach. Reno Macri is a founder and director of a leading exhibition service providers, Enigma Visual Solutions. It specialises in retail designs, event branding, modular exhibition stands, trade show marketing and much more. Specialising in experiential marketing and event productions, Reno enjoys sharing his thoughts on upcoming tradeshow and event marketing ideas and design trends. Feel free to follow him on Twitter.